More Production Track Workshops Announced for the MassAccess Spring Conference! 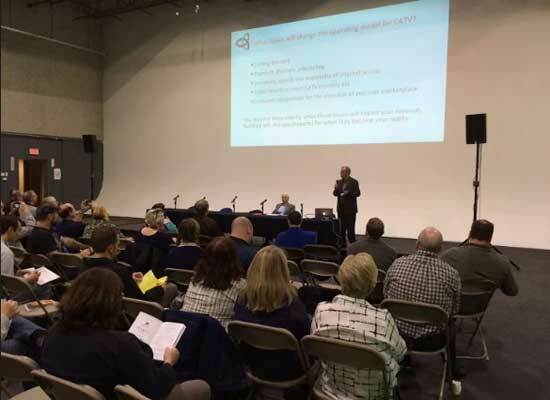 Home » More Production Track Workshops Announced for the MassAccess Spring Conference! Join us April 29th at High Output Studios in Canton for the MassAccess Spring Conference. More workshops are being announced every day…check back often! Our Production Track now features GETTING THE MOST OF YOUR DSLR with Rule Boston Camera’s Nick Giannino and LIGHTING IN THE FIELD with ISG’s Jonathan Lipsy. Jonathan is the Sales Manager and Lighting Specialist at Integrated Solutions Group. Specializing in Energy Efficient lighting systems, Jonathan understands the demands and requirements of the television industry. He has been designing and installing lighting systems for the broadcast industry for over 20 years and has a very clear vision for his customers on Studio Infrastructure, Lighting and Dimming Systems, Curtain Packages and Power Distribution. He teams with his customers to support their goals bringing his knowledge and experience to each and every project. Jonathan received his Bachelor’s Degree from Hofstra University in New York where he majored in Marketing and Photography. He began his career as a commercial photographer in New York City where he learned lighting techniques using photographic strobes, Tungsten and HMI lighting. In 1990, Jonathan realized his passion for lighting and moved to Boston where he sold and installed lighting systems for NBC, CBS, ABC, FOX, ESPN, NECN and a multitude of Universities and Community Access Centers throughout New England and New York State. With well over 200 studio designs credited to his name, Jonathan is able to give to each of his customers and their projects the innovative and creative solutions to best suit their needs. Jonathan is a consistent contributor to ISG’s Solution Seminar programs where he educates customers on all forms of lighting and studio infrastructure for the Broadcast industry. Nick Giannino has been on staff at Rule Boston Camera as a Rental and Sales Specialist for 4+ years. Prior to his experience at Rule, he worked as freelance Production Coordinator in the local industry for 4+ years. After merging in Spring 2008, Rule Broadcast Systems and Boston Camera Rental Company became Rule Boston Camera. With a combined 44 years of experience in sales and rentals of professional film and video equipment, Rule Boston Camera has provided individuals, networks, corporations and students with the professional equipment, services and support they need for their most critical projects. Rule Boston Camera’s stellar reputation reflects the diverse knowledge and experience of our staff along with our expansive inventory and comprehensive services.